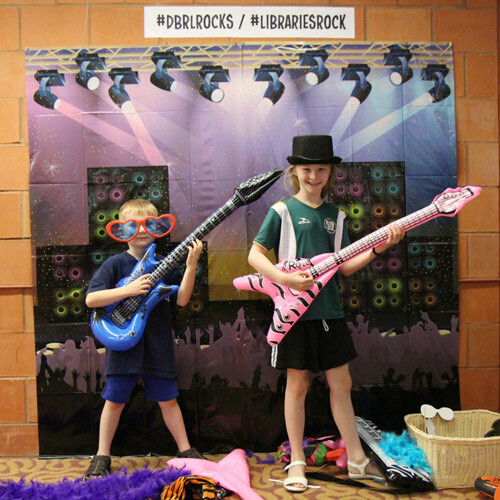 Kids pose with rockin’ props for Summer Reading. The program continues through August 11. 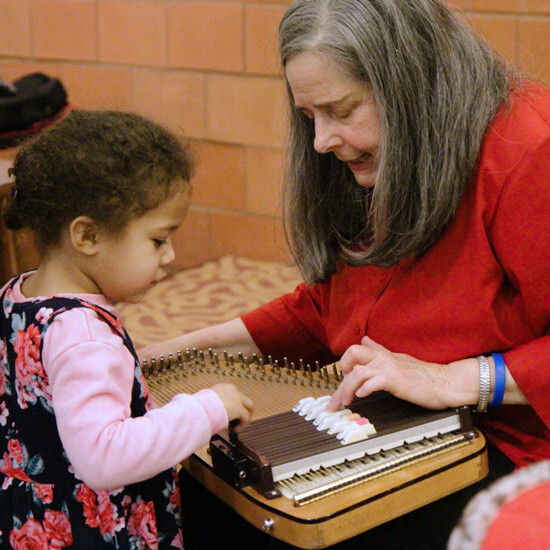 Storyteller Beth Horner introduces children to her autoharp after her library performance. Notes on music for different developmental stages. Babies recognize melodies before they understand words. They try to mimic what they hear and move to the beat. Simple, short songs are best. Children develop motor skills as they clap, jump, twirl and spin to the music. For toddlers, repetition encourages learning new words. Singing songs helps them hear syllables and add vocabulary. This age group loves making up new lyrics to favorite tunes, which taps into creativity and gives a sense of pride. You’re familiar with “Mary Had a Little Alligator,” right? Singalongs that involve counting, spelling and remembering a sequence of events help students remember details. Not only do teens listen to music for enjoyment, but it can help them form friendships, explore their creativity and relax. Background music while studying helps some teens focus better. Whether you like to listen to Bach or Foo Fighters, music brings us joy and has a positive impact on us mentally and emotionally. 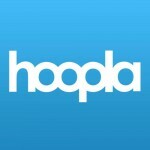 Your library has tons of music on CD, plus two free streaming and downloadable services: Hoopla and Freegal. * Find out more about research on music and learning from these sources.